The Form Gate is available for any paid plan in the "Gates" area of each app. It allows users to add a simple form gate that users must complete and submit in order to access your app content. It is PERFECT for growing your email list. Create the form fields you want in your form gate. We recommend keeping it short and simple, such as Name and Email address, in order to get the highest completion rate. Step 2. 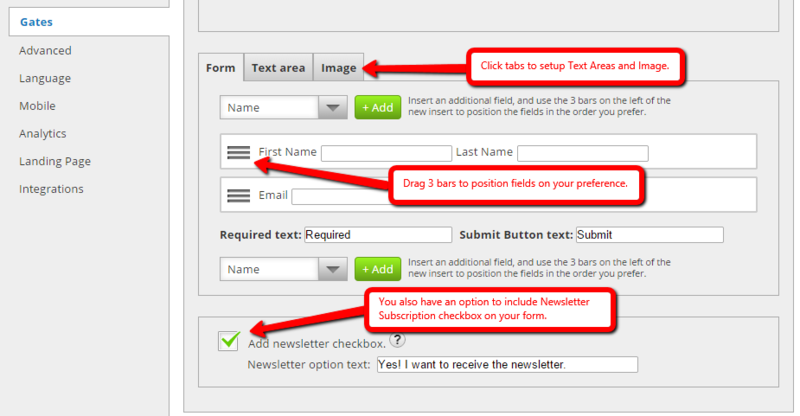 Setup your form layout.